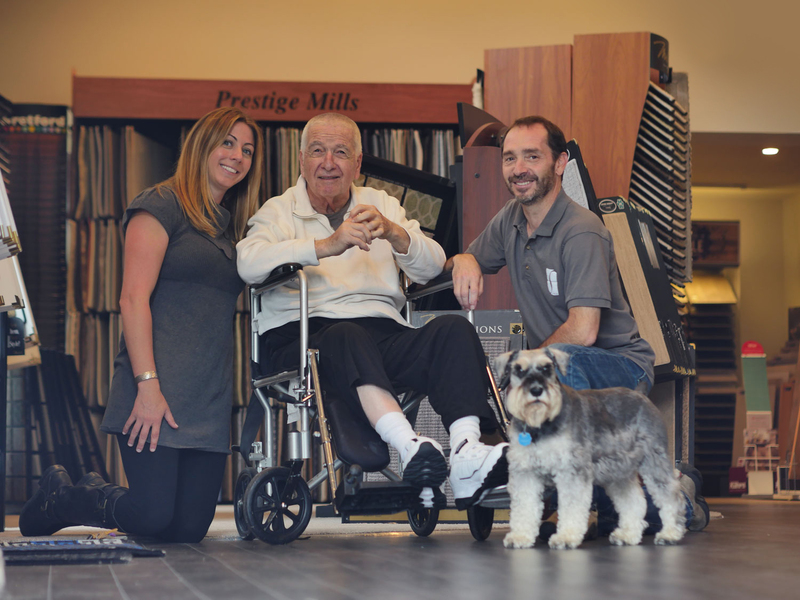 Suburban Floors is a proud Westchester business for decades. 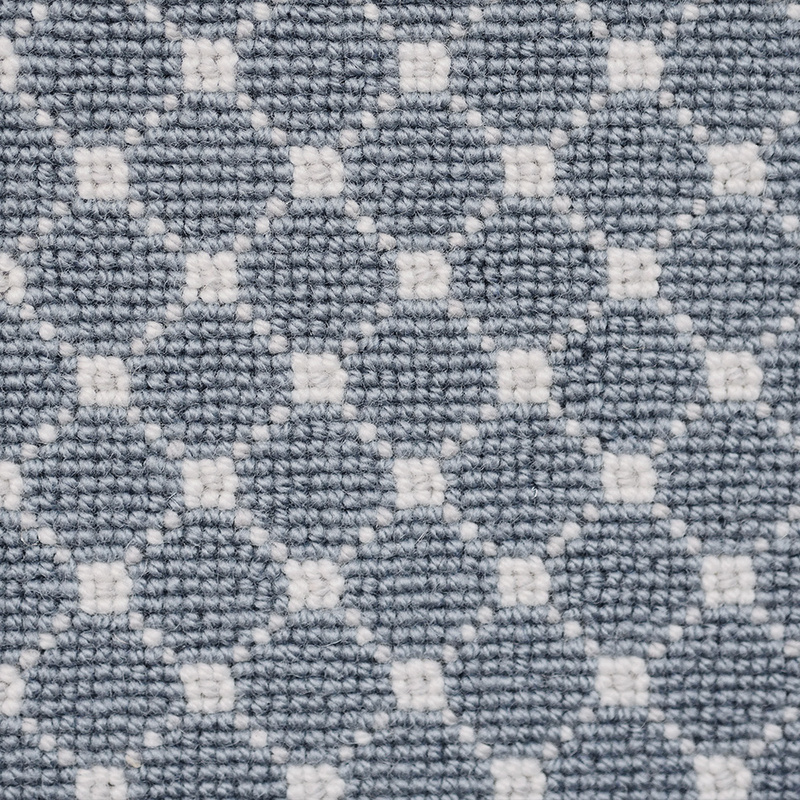 elcome to Suburban Floors! 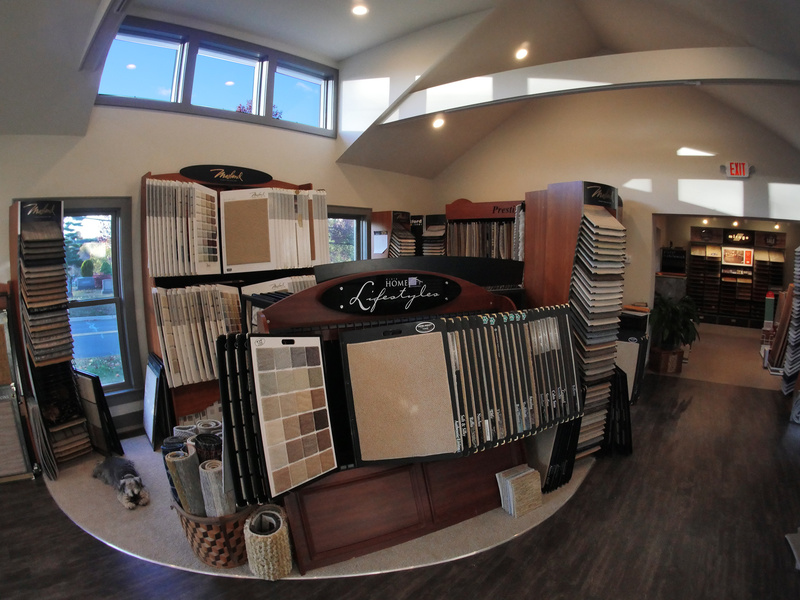 We have been in the flooring business for over 85 years and we have a great selection of flooring products in our showroom. 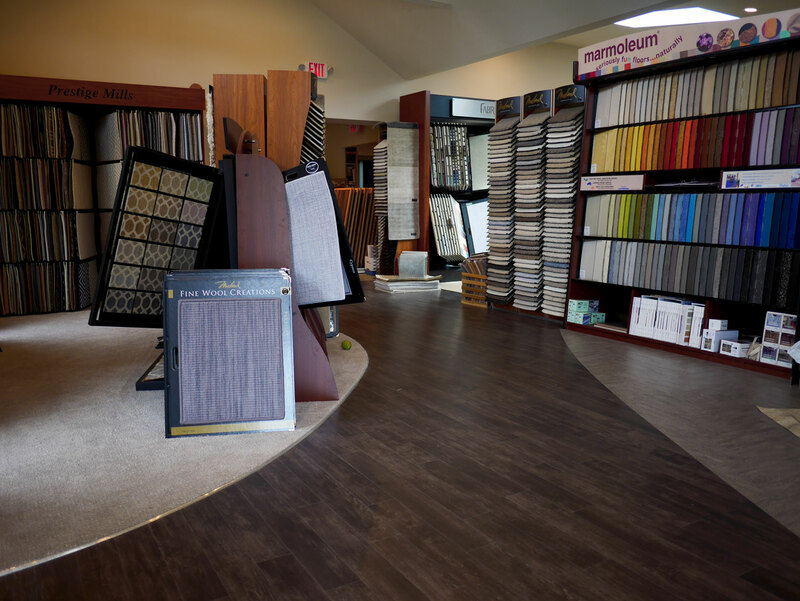 We know when it comes to flooring there’s a lot of choices for you but before you purchase your flooring materials from another source, come visit our showroom. 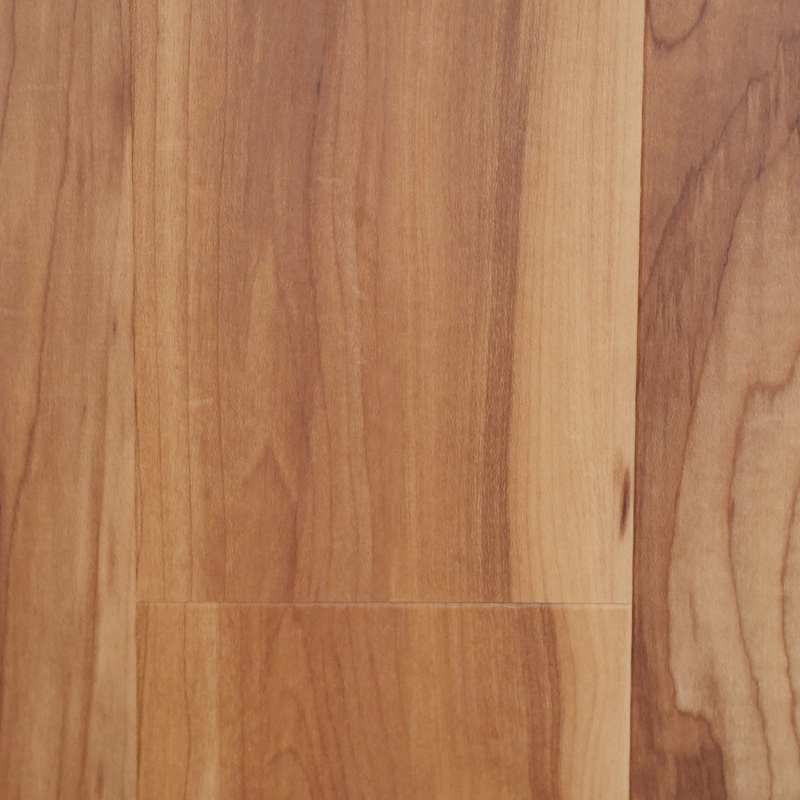 Our large selection of samples will help make sure that you find the flooring that suits your tastes. 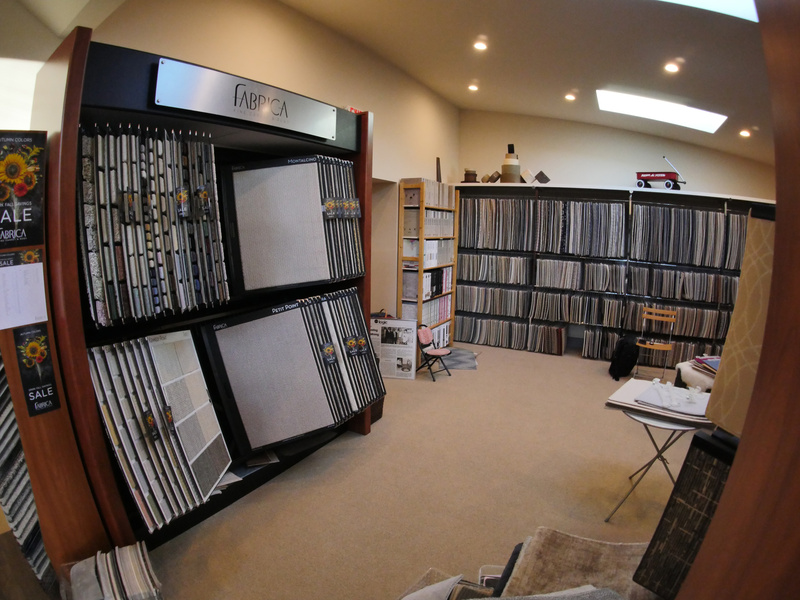 During the initial visit to the showroom we can setup an appointment for a free in-home measure. It helps for our customers to see these products in their own home. 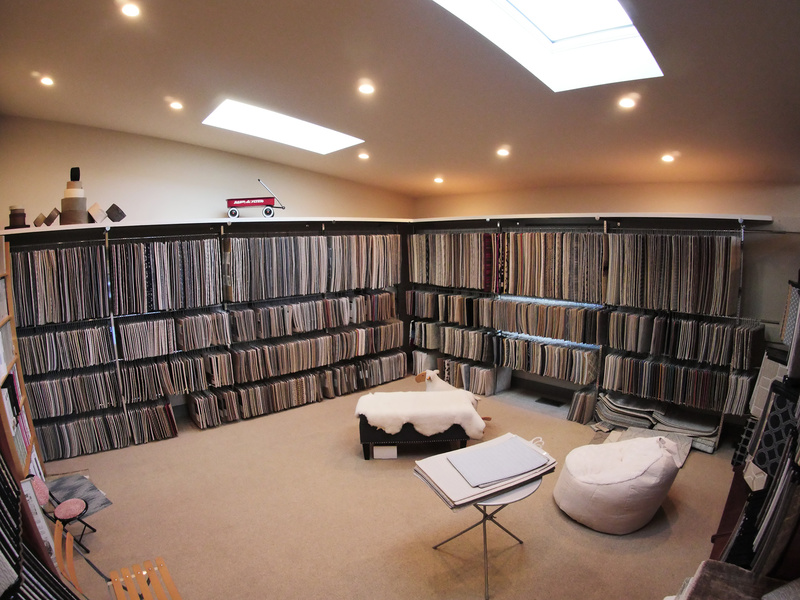 A second trip to the showroom for additional samples may help in the selection process. Typically, after the in-home visit, we can calculate square footage, installation time required and the cost of the job based on these measurements and our customer’s selection. ur inviting, friendly staff asks questions about the customer’s needs & wants. 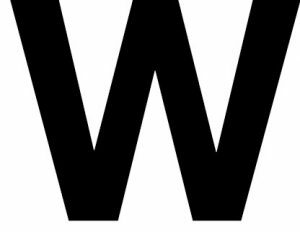 After listening to the situation, we suggest products that clearly fit the desires of the client. Expertise will be offered to educate the customer, answer any questions, and make recommendations. 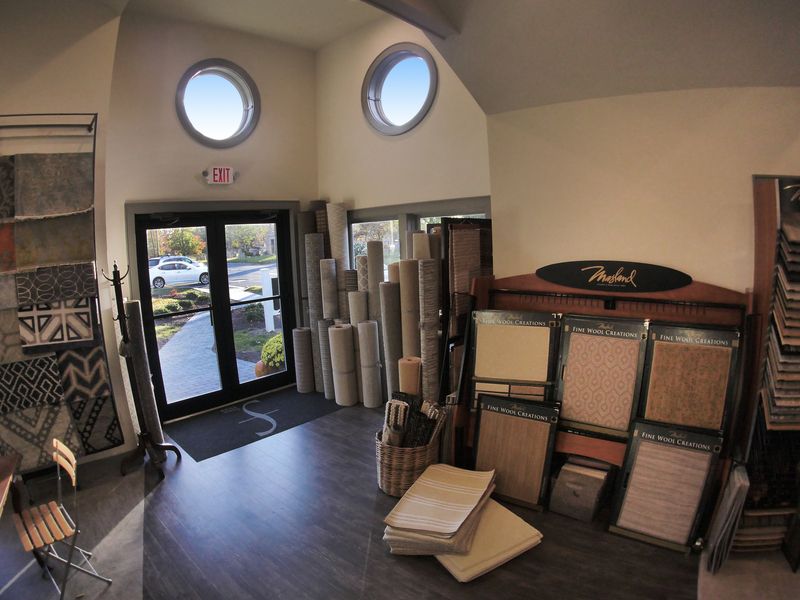 Our staff has the ability to provide rugs or floor coverings for one room or an entire home using one large selection of flooring products, with or without the need of an outside interior designer. We also work with many custom homebuilders, designers, and contractors to provide an excellent selection of quality products, un-compromised service, and expert installation. 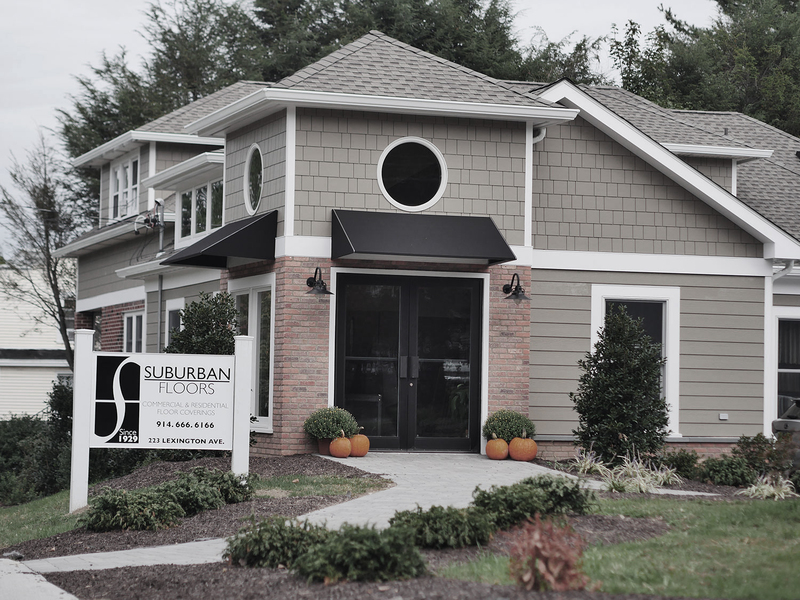 In the year of 1929 Suburban Floors opened its doors at 104 East Post Road in White Plains, New York. 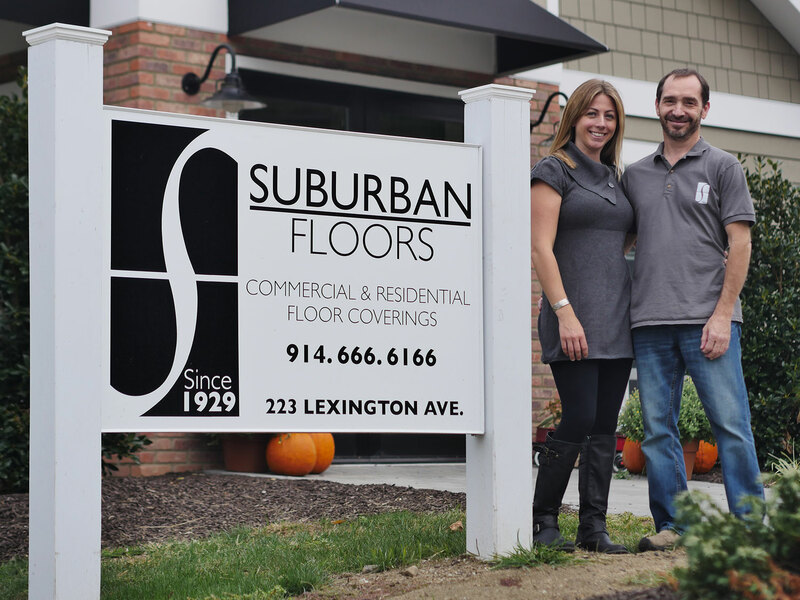 Suburban Floors was the brainchild of William and Marion Heppner, a husband and wife team who had little or no experience in the flooring business. 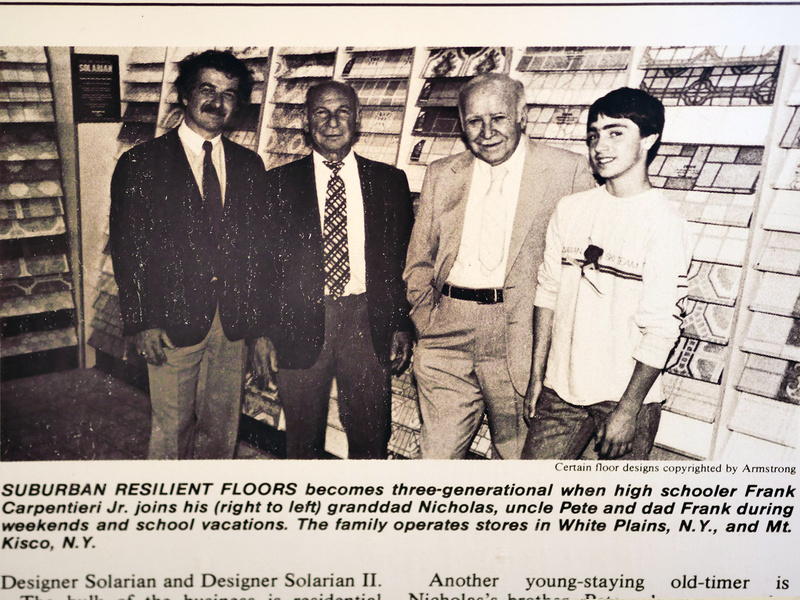 In 1938, the Heppner’s joined forces with Certified Floors of New York City as a partner in their endeavor. 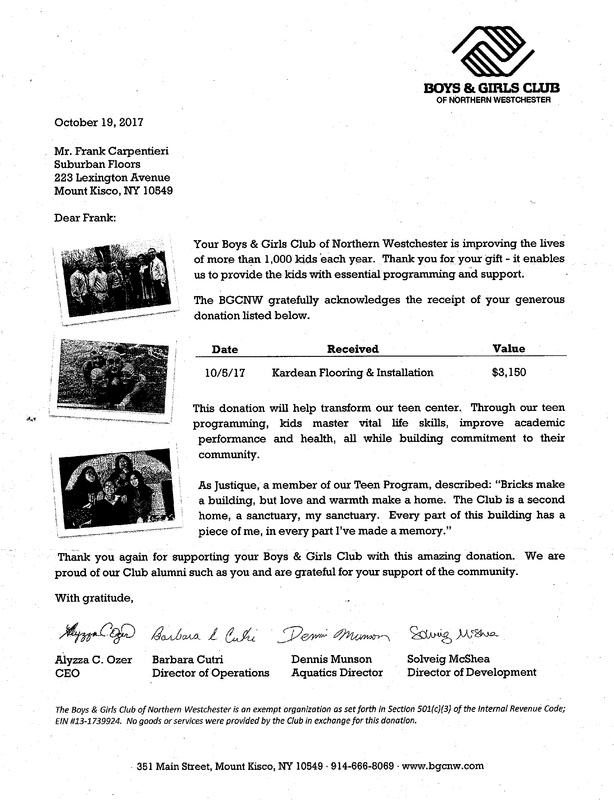 At the time that all of this transpired, Mr. Nicholas Carpentieri was an Nickemployee of Certified Floors and he was called upon to commute from Staten Island (where he was living with his wife, at two year old daughter, and a new born son) to White Plains to assist the Heppner’s and watch out for Certified Floors’ interest in Suburban Floors. 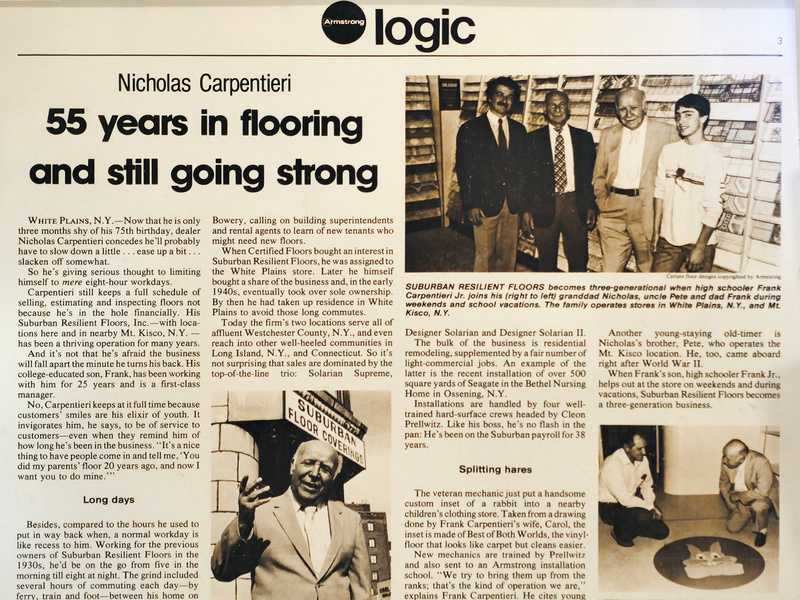 After working at Suburban Floors for a relatively short time, the Heppner’s offered Nicholas Carpentieri the opportunity to buy them out. 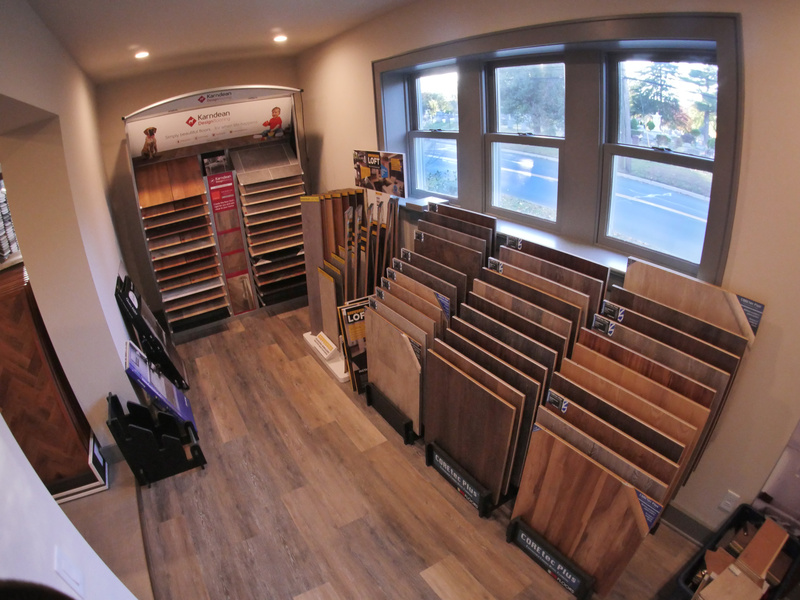 Nicholas took them up on the offer and then negotiated with Certified Floors to buy them out as well. Suburban Floors prospered under the direction of Nicholas. 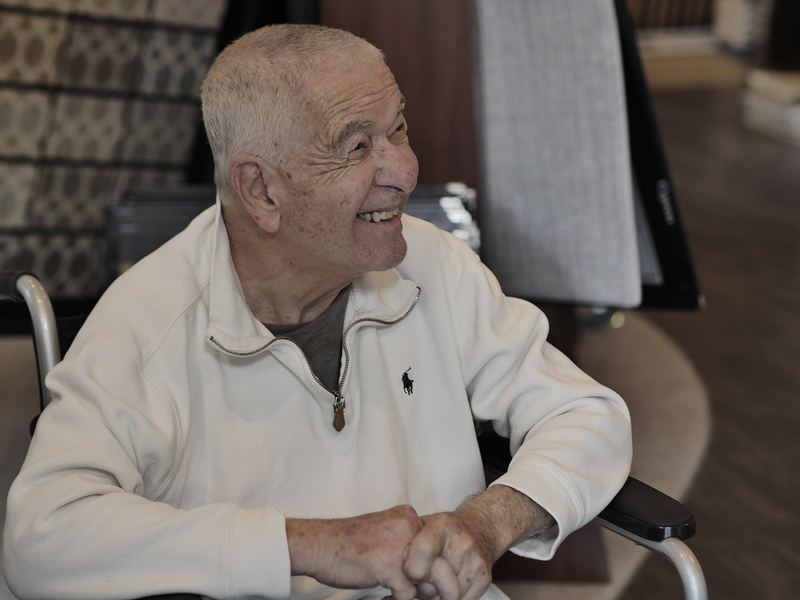 In 1945, Nicholas’s brother Peter returned from duty in World War II and joined his brother at Suburban Floors. Peter became a partner in the business and they opened a store in the sleepy hamlet of Mount Kisco, New York. Mrs. Heppner remained friendly with Nicholas and Peter and soon came back to work with Peter in the Mount Kisco store.